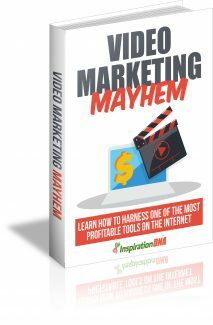 This e-book aims to uncover the strategies you can tap into to start making money through videos immediately. The trends of internet marketing have always been evolving. Back then, it was article marketing. Then came the paid advertising era of PPC and PPV. Today, we have Video Marketing. What is video marketing? Video marketing is the art of using videos to market and grow your business. This could be in the form of using videos for getting leads, building traffic or selling a video product. Video marketing is great because it has the ability to grow virally. Viral marketing as in it spreads as fast and as widely as a biological virus, but in the marketing sense. This can help you reach a wide audience in a short amount of time and at a low cost. People love watching videos, so much more because you can incorporate visual and audio elements which can excite emotions and make content interesting. E-books are so yesterday and have a hard time keeping up with videos which have been getting better and better. One of the most useful sites out there is YouTube – The world’s largest video sharing site. We shall look into the power of YouTube in the next section. As mentioned earlier, YouTube is the world’s largest video sharing website. Why are they called video sharing sites? Its because everyone who uploads videos are like a TV channel of their own – You can get subscribers and people who watch your videos can freely share it with others through a wide variety of social media sharing tools available. The popularity of YouTube has exploded, and businesses, big or small stand a lot to gain by tapping into this phenomenon. You YouTube allows you to upload videos for free, and if your videos meet their standards they will offer you a director’s status, where you can post up videos longer than 10 minutes. One good thing about YouTube, is that you can post descriptions down at the bottom box of your videos. This allows you to draw traffic to your website and write descriptions about your videos. YouTube also has that added benefit of being owned by Google, the largest search engine in the world. Because of that, YouTubes videos rank highly on Google, and you can draw tons of traffic by targeting keywords with high search volume and are related to your niche.